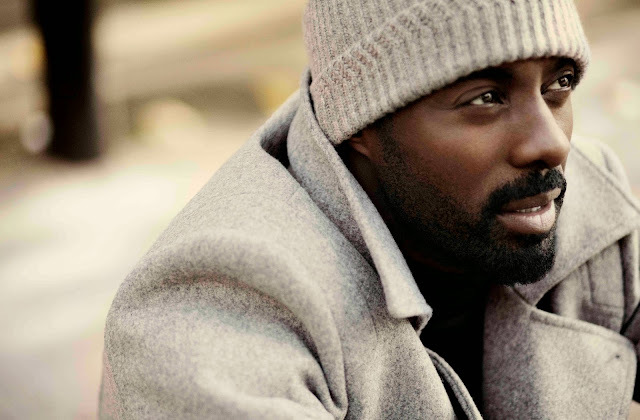 Oh Idris. I am so sad. See, I am sad because you have a girlfriend and not only do you have a girlfriend but she's PREGNANT! I think she trapped ya. Why? She's totally not your type. Who is Idris' type? Me. I am. Man. I love, love, love that man. He's such a hunk. Uh. That wink and point is for me. 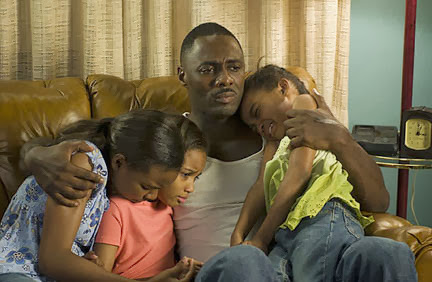 He's a hunk as the single dad in Daddy's Little Girls. Get off my man, Gabrielle Union. I don't care how hot you are. He's a hunk as the angsty DI Luther. 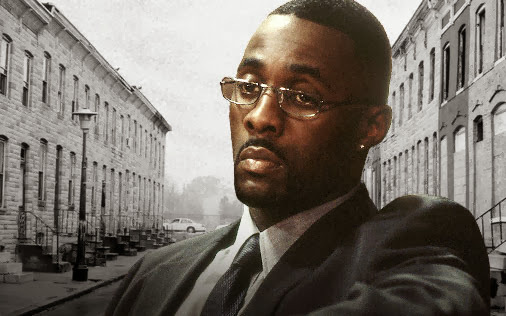 He's a hunk as the business man-gangsta, Stringer Bell in The Wire. I am convinced he doesn't get skidmarks. I am convinced his BO is just manly cologne. He might be one of the most perfect men in the world. He's so perfect, he doesn't seem real, does he? She is! Trifling and trapping. Pfffttt... she needs to step back from our Idris. LOL!